–Do you have something to say about being bisexual? –Do you have a story about coming out as bi? –Do you feel you could identify as bisexual but choose not to? –Do you find connections (or conflicts) between your bisexuality and other parts of your identity or life? –Do you have something to say about desire? About relationships? About religion? About community? About politics? About the position of bisexuals in the place or community you call home? If you answered yes to any of the above questions, we want to publish you! If you don’t want your name in print, you can write under a pseudonym. If you think you’re not a “real” writer and would like to be included in this anthology, we want you. If you’re not comfortable writing, we can interview you. If you are not comfortable writing in English, write in your native language and we will translate your essay. Essays will be published in the second edition of Getting Bi: Voices of Bisexuals Around the World. The new anthology will be published in 2009, in dual editions (English and Spanish). The first (2005) edition includes personal narratives by people from 32 different countries, on 6 continents, ranging in age from 15-79. Please help us make this amazing collection even broader in scope! Send submissions to Robyn Ochs (robyn@robynochs.com) by June 30, 2008. Getting Bi is one of the most important recent contributions to the global struggle for human rights. By enriching our understanding of bisexuality within so many cultural and geographic contexts, this anthology serves as a magnificent tool for building support and respect for the sexual rights of each one of us. — Paula Ettelbrick, Executive Director of the International Gay & Lesbian Human Rights Commission. Men can’t really imagine how hard it is to tie your sneakers when you’re nine months pregnant. Or concentrate in a meeting when a hot flash strikes and all you feel like doing is standing in front of an open freezer door. You just have to be a woman. We discovered that when we started eating lunch together. Bouncing from shop talk to husbands to aging parents, we always ended up at menopause, and that was when the laughter started. We finally decided that we were having too much fun to keep the conversation to ourselves. So if you’re a woman pushing 50 (or 60 or 70 or beyond) who has traded in her tampons for calcium pills and fiber supplements, we want to hear your stories and share them with others. Physical changes–mirror, mirror, who is that person looking back? Please send your stories to MENOPLUS@psu.edu. Our sources will remain anonymous, but please send contact information so we can get in touch with you to let you know well be printing your story. The 9th annual dg.o international conference is a forum for presentation and discussion of interdisciplinary digital government research and practice and its applications in diverse domains. The conference is presented by the Digital Government Society of North America (DGSNA), with major support from the US National Science Foundation. * Presentations of effective partnerships among government professionals, university researchers, relevant businesses, and NGOs, as well as grassroots citizen groups, to advance the practice of digital government. * Research on digital government as an interdisciplinary domain that lies at the intersections of computing research, social and behavioral science research, and the problems and missions of government. * Digital Government Application Domains: such as courts, crisis management, education, emergency response; international initiatives and cooperation, health and human services, law enforcement and criminal justice; legislative systems, natural resources management, grants administration, government statistics, regulation and rulemaking; security; tax administration; transportation systems, and urban planning. * IT-enabled Government Management and Operations: such as digital government organization and management strategies, decision-making processes; information technology adoption and diffusion; program planning; IT and service architectures, cross-boundary information sharing and integration, long-term preservation and archiving of government information, information assurance, service integration, as well as technology transition and transfer. * Information Values and Policies: such as accessibility, digital democracy and governance, digital divide, openness, privacy, public participation in democratic processes, security, transparency, trust, and universal access to information and services. * Information Technology and Tools to Support Government: such as collaboration tools; cyberinfrastructure for digital government domains; digital libraries and knowledge management; geographic information systems; grid computing; human-computer interaction; information integration; interoperable data, networks and architectures; large scale data and information acquisition and management; mobile government; national and international infrastructures for information and communication, multiple modalities and multimedia; service-oriented architectures; semantic web; social networking, software engineering for large-scale government projects. We are pleased to announce three luminaries who have made significant contributions in the field of digital government as daily keynote speakers for the dg.o 2008 conference! * Daniel J. Chenok is the Vice President & Director at the SRA Touchstone Consulting Group. He works in the Civil Sector and helps to lead the Consulting Group in three areas: business strategy and growth, integration of consulting work with other SRA businesses and activities, and senior level client engagement. * Edwin Lau is head of the E-Government Project at the Organization for Economic Co-operation and Development (OECD). He helped create the project in 2001 and it currently supports a network of senior E-Government officials in the OECD countries (www.oecd.org/gov/egov/). * Andy Stein is Director of Information Technology at the City of Newport News, Virginia. The City of Newport News has developed a strategy to replace legacy applications through a collaborative ecosystem with public entities and through public-private partnerships often using Open Source as a model for collaborative development. * November 1, 2007 – Conference submission website becomes available. The submission site is located at: http://www.easychair.org/conferences/?conf=dgo2008. Submissions must not exceed the maximum number of pages specified for each type of submission. Please use no page numbers. Paper titles should be incorporated onto the first page of text, rather than on a separate cover page. Papers will be reviewed through a double blind review process. Therefore, author names and contact information must be omitted from all submissions. Authors must identify the topic(s) being addressed by the paper to assist the program committee in the review process. These submissions report innovative digital government research results in the form of a formal scholarly paper. Papers on any digital government topic and all research methodologies are welcome. Relevance to digital government problems, goals, or policies must be explicit. Submissions should be in camera-ready format – following the format requirements of the Association for Computing Machinery (ACM) Proceedings. Submissions should not include authors’ names and contact information. These submissions describe and evaluate practical digital government projects or initiatives, discuss major policy themes, or present and evaluate management approaches to digital government initiatives and programs. Papers in this section will also be double blind reviewed, with special focus on relevance to practice, transferability, and lessons learned. Submissions should be in camera-ready format – following the format requirements of the Association for Computing Machinery (ACM) Proceedings. Submissions should not include authors’ names and contact information. Digital government research papers authored solely by students should be submitted to this track. Student papers will also receive a double blind review organized and administered by the student program committee. Submissions should be in camera-ready format – following the format requirements of the Association for Computing Machinery (ACM) Proceedings. Submissions should not include authors’ names and contact information. Proposals should include the theme and goals of the panel, a summary of the digital government issues or questions that the panel will address, statements about the value of the discussion to conference attendees and how well suited the topic is to a panel discussion. In addition, the proposal should include information about the expertise of the moderator and panelists in the selected issues. Please include names, institutional affiliations, addresses, email, and phone contact numbers of the contact person, moderator, and presenter(s). to give an oral presentation in the conference sessions. System demonstrations are held concurrently with the poster session to the accompaniment of good food and professional fellowship. The 2-page summaries should outline the nature of the system and describe why the demonstration is likely to be of interest to dg.o attendees. Demonstrations of interest include systems under development or in active use in research or practice domains. Submissions should be in camera-ready format – following the format requirements of the Association for Computing Machinery (ACM) Proceedings. Submissions should include authors’ names and contact information according to that format. All accepted submissions will appear in the proceedings, and authors are expected to present their work at the poster/demo session at the conference. Each station is provided a table, an easel, and Internet access. Monitors will be available for rent. Selected demo submissions may be asked to give an oral presentation in the conference sessions. Birds-of-a-Feather discussions provide an opportunity for participants to connect around selected topics. Proposals should identify the conveners, the intended participants, and key discussion questions. These conversations generally take place during lunch on one of the conference days. dg.o tutorials are half- or full-day presentations offering deeper insight into the scientific and government domains, research topics or methods, technologies or field experience of veteran digital government researchers and practitioners. Each conference registration includes one full-day or two half-day tutorials or workshops. We invite workshop proposals on any digital government research or management topic. Individuals proposing workshops will assume the responsibility of identifying and selecting participants for the workshop and for conducting workshop activities. Each conference registration includes one full-day or two half-day tutorials or workshops. All accepted management or policy papers, research papers, student papers, panels, posters, and system demonstrations will be published in the printed proceedings and included in the ACM digital library. Selected papers may be invited for a journal special issue. Outstanding achievement awards will be presented in the categories research papers, management and policy papers, posters, and systems demonstrations. In addition, to reflect the theme of the conference, we plan to select an outstanding cross-boundary partnership. Selection criteria include the interdisciplinary and innovative nature of the work, its contribution to and balance between theory (rigor) and practice (relevance), the importance and reach of the topic, and the quality of the writing for communicating to a broad audience. Janice Warner, Georgian Court University. Do you have a new or innovative way of providing services to your users? The LITA 2008 National Forum is a great way of sharing your knowledge with others. The Forum Committee is interested in presentations that highlight specific technology implementations; just over-the-horizon technologies that aren’t quite ready for implementation; or information technology research. We are interested in all types of libraries: public, government, school, academic, special, and corporate. Proposals on any aspect of library and information technology are welcome. Social Computing: social tools, collaborative software, etc. User created content: Book reviews, tagging, etc. Open Source Software: creative uses of OSS, technology on a budget. Presentations must have a technological focus and pertain to libraries and/or be of interest to librarians. Concurrent sessions are approximately 75 minutes in length. Forum 2008 will also accept a limited number of poster session proposals. Presenters are required to submit handouts one month in advance for the Forum notebook, and handouts will be made available on the Web site after the event. Is this proposal for a concurrent session? Is this proposal for a poster session? If this proposal is for a concurrent session, might it be considered for a poster session? How did you hear about the 2007 Forum call for proposals? The 2008 Forum Planning Committee will review proposals at the ALA Midwinter Conference in January 2008. You will be contacted about the status of your proposal by the end of February 2008. Join ACRL in Seattle for the 14th ACRL National Conference, March 12-15, 2009! Join your colleagues at the premier professional development event for academic and research librarians and staff. The ACRL 14th National Conference will challenge you to push your boundaries and promises the opportunity to explore new ideas, engage in new learning, and extend the collective vision of the future of academic and research libraries. Engage in professional learning and development in both structured and informal settings. In addition to program sessions, the conference planners are also building in time to have fun, share informal conversations and meals with colleagues, and explore Seattle. ACRL will continue to offer virtual conference presentations and will embrace social networking tools in order to “amplify” the impact of the National Conference. This year ACRL will implement more “green” practices than ever before, challenging us all to help reduce the meeting’s ecological footprint. The Education and Behavioral Sciences Section Research Committee is holding its second annual Research Poster Session and Discussion Forum during the second ALA Annual Conference in Anaheim, CA, Saturday, July 26, 2007. The forum seeks to provide beginning and established researchers an opportunity to present research in progress, and receive collaborative feedback on their work and recommendations for future publishing. Research/posters will be simultaneously presented and discussed in small informal groups. Attendees at the forum will find an arena for discussion and networking with their colleagues interested in research-related issues and trends in the profession. The committee will use a blind review process. 1. Measure and/or investigate library and information aspects in the fields of communication, psychology, social work and education. 2. Represent an original research project. 3. Clearly identify what stage in the research project has been completed and estimate a timeline for the remainder of the project. 4. Represent the current interest to the membership of EBSS. Note: Research that has been previously published or accepted for publication by December 1, 2007 will not be considered. 1. Proposals should be no more than three pages. ECOOP 2008 is held in July 2008 in Paphos, Cyprus. exchanging late breaking ideas and theories in an evolutionary stage. approaches to areas related to object-oriented technology. Workshops may last one or two days. or gendered issues. Submissions from all fields of study are invited. Kearfott, Professor of Nuclear Engineering, University of Michigan. 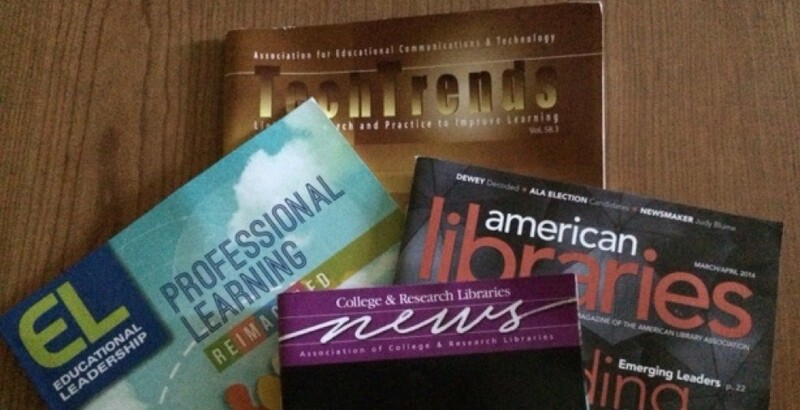 Return on Investment: Learners’ Outcomes in Information Literacy. Do they really learn? From high school to university current trends indicate a small but growing number of studies about learning outcomes for IL. Effective assessment of student learning outcomes is a critical component to improving information literacy programs. How are they used to evaluate the IL courses quality and their cost-effectiveness? What indicators should be identified to measure competency or fluency? What comparison can be made between different contexts, levels or disciplines? Do assessment tools vary according to program needs? What is the impact on pedagogical methods? The full paper is due no later than 1 May 2008 and must be an original submission not published elsewhere. Papers may be written and presented in any of the IFLA working languages (Arabic, Chinese, English, French, German, Russian and Spanish) however, simultaneous translation is not guaranteed. Please note that all fees, including registration for the conference, travel, accommodation, etc., are the responsibility of the authors of accepted papers. For additional information, please contact Agnes Colnot.